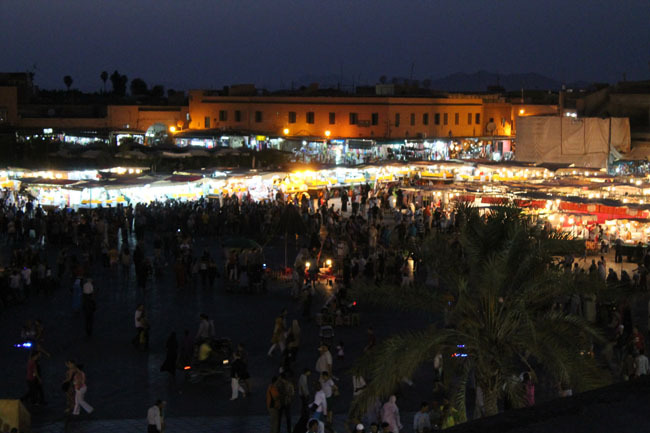 My girlfriend has always wanted to go to Marrakech and I finally gave in this year. How does this holiday begin? With waking up at 3am to catch a 6am flight!!! 3am!!! It is not an enjoyable time to wake up. The flight was 3 hours and we were at our Riad (hotel) for about 11am. This was about a 5 minute walk away from the crazy main square (El Fnaa square – from now on, it will be known as crazy main square). 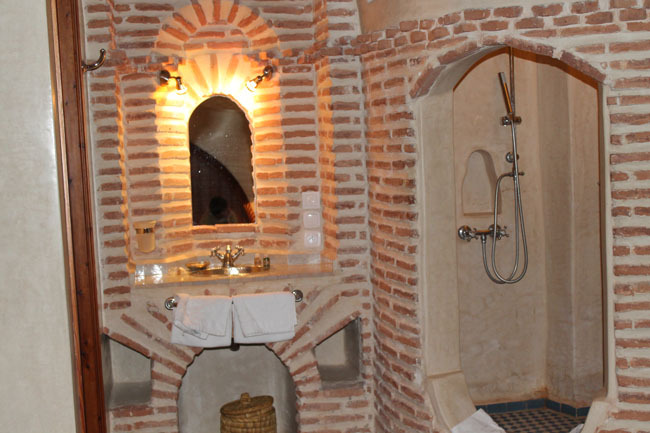 The riad was beautiful, our room had an interesting awesome shower, which is hard to describe so I have given a photograph below. The riad had a small small pool, which we didn’t use and a terrace roof with sun lounges on. The first thing we did, after we checked in and moved into our room (around midday), was the most important thing – have food in the crazy main square. 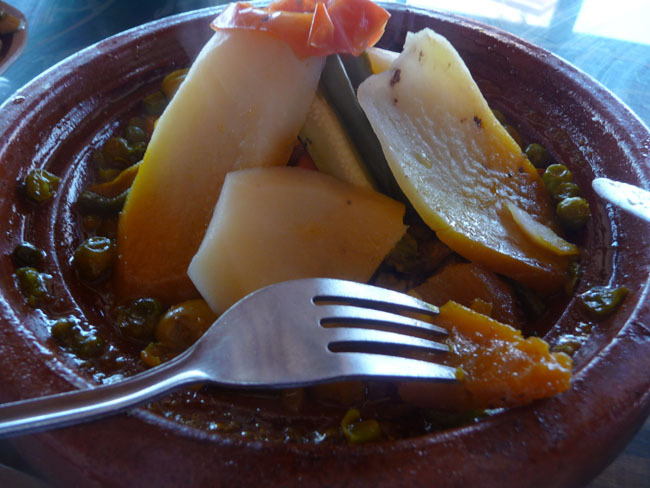 We had our first tagine experience and it was nice. 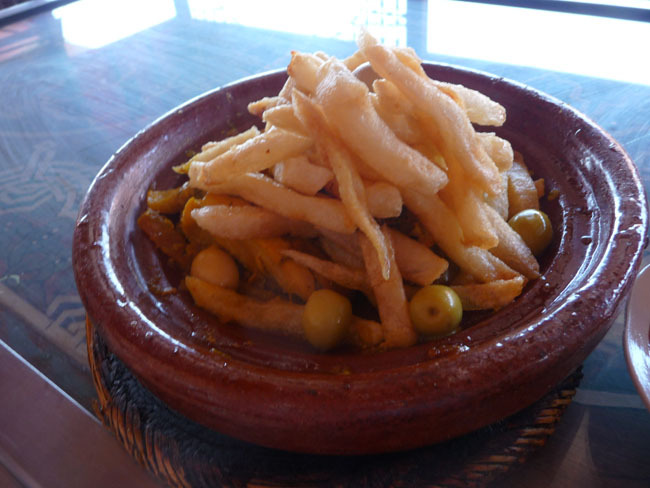 I had chicken with chips tagine and my girlfriend had lamb tagine with vegetables. We also had a bowl of olives. 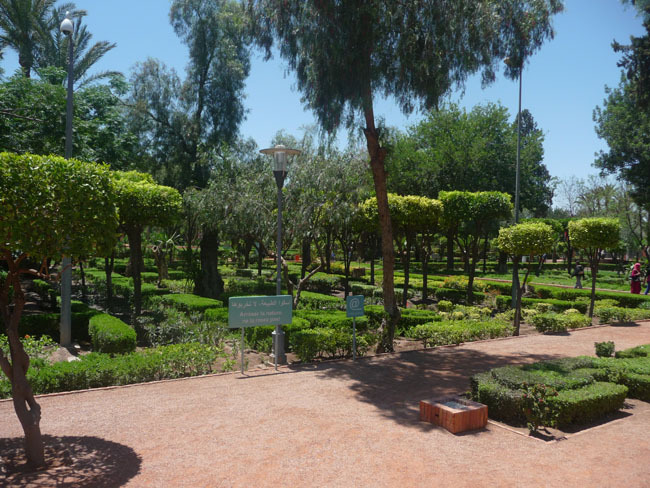 The olives are amazing in Marrakech. Afterwards we decided to go to Cyber Park, which was our location of serenity, away from the crazy main square. A colleague of my girlfriends said there were Ipads in the park, which is why we first went. LIES! They were screens which you could use if you had log in details. Afterwards we decided to try and find Jardin Majorelle. The guide book told us to get a taxi. We decided to go against the guide book and walk. However, this was a fail. We got lost, went back to the cyber park, back to our serenity and relaxed there for a while longer. 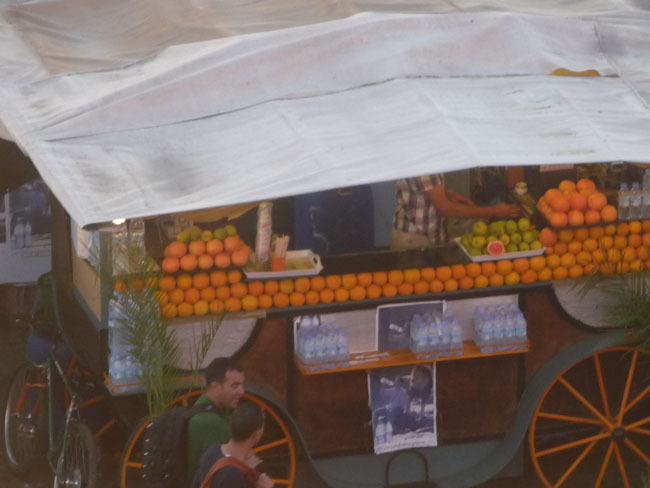 On the way back to our riad, we had an orange juice off an orange juice market stall in the crazy main square. It is very cheap but if hygiene is a priority – I wouldn’t go to one. They re clean glasses in front of you, using Moroccan water. Freshest orange juice I have ever had and it was so refreshing in the heat. It cost about 30p. If only London had these orange juice stalls! The second terrace we went to served food. My girlfriend had cous cous and I had a tagine. After the food we called it a night, because we were knackered and had no alcohol to prolong the meal and night (that probably sounds a little bad doesn’t it).